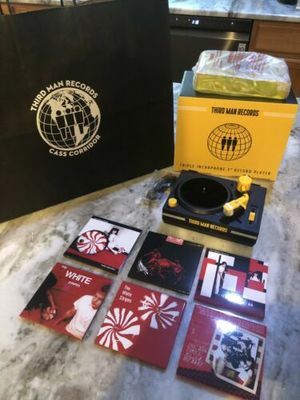 Third Man Records RSD White Stripes Inchophone Record Player + 6 Record Bundle . Condition is New. Shipped with USPS First Class Package. From the Detroit store. Will include bag. ( may be folded). Records included are..